Some 63 per cent of GCC-based high-net-worth individuals (HNWIs) were likely to invest into real estate globally this year, according to Cluttons Middle East’s Private Capital Survey Part II, with around 80 per cent having at least $1 million (Dh3.67 million) at their disposal. Dubai also emerges as a favourite destination for these investors. Knight Frank’s The Wealth Report 2016, meanwhile, established that 24 per cent of the world’s ultrahigh-net-worth individuals (UHNWIs) were planning to allocate around a quarter of their assets to primary residences and secondary homes. Notably, Dubai figured fifth in the list of the top 10 cities these investors rated as highly important for the next decade, moving up from eighth in the past decade. Morris says Dubai’s diversity of buyers is encouraging, highlighting first-quarter figures from the Dubai Land Department wherein 127 different nationalities invested in the emirate. ”Yes, the market is still dominated by UAE, Indian, Pakistani and British buyers, but our recent inquiries are coming from a number of international territories, including continental Europe and Africa. We have also witnessed an increase in interest from less traditional inflows, such as the US and Asia — China in particular,” she adds. The top reason UHNWIs preferred investing in residential property was that it could be sold in the future. They also cited the asset’s reputation as a safe haven, which was particularly important to clients from Russia and the Commonwealth of Independent States (CIS), according to the Knight Frank report. Andrew Cleator, Luxury Sales Director at Luxhabitat, says affluent investors from Asia and Europe have been filling the gap, supporting Knight Frank’s findings that Asian UHNWIs were set to expand by 66 per cent and Europe’s by 27 per cent over the next decade. ”Recently we are experiencing increasing interest from the Americas, especially South America, which is very promising,” says Cleator. Myles Bush, CEO of PH Real Estate, says there has bee a twofold growth in demand from countries with internal problems, such as Iraq, Iran, Pakistan and some in Africa. ”They are looking for a safe haven for their money, [and benefit from] capital appreciation,” he says. Cecilia Reinaldo, Managing Director of Fine & Country UAE, says ongoing government investment in infrastructure, tourism and real estate, along with a solid track record of delivering, positions the UAE strongly as an investment destination. ”The return on investment [ROI] of 7-10 per cent in the UAE is one of the highest in the world,” says Reinaldo. Crook points out that other major cities offer much lower yields — 3-4 per cent in London and 2-3 per cent in Hong Kong. ”HNWIs tend to be attracted to large luxury mansions or lavish penthouses, but once they are established they’re more likely to also invest in off-plan developments, or buy-to-let properties,” says Cleator. PH Properties sells anything from a Dh3-million home to mansions worth upwards of Dh60 million. According to Bush, Emirates Hills, Al Barari and Palm Jumeirah lead in terms of luxury family dwellings. Having said that, Paul says the luxury end of the market was still relatively active, with prices fluctuating very little, particularly for properties in the Palm Jumeirah, Polo Homes and Al Barari. He cautions though that sentiment buying still leads to price fluctuations. Morris says that at the top end of the property market, buyers are far more discerning. ”If they can’t find a property that meets [their requirements], they won’t invest. There is no urgency if they can’t tick all their boxes.” However, if the right asset is found, they tend to move quickly and even buy at a premium. ”We witnessed this at the Palm Jumeirah and Emirates Hills last year, with record-breaking prices being achieved,” she adds. 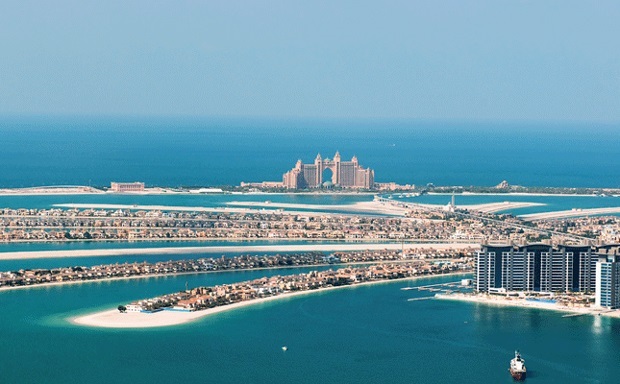 While some of the more favourable towers in Dubai Marina are also of interest, the Palm Jumeirah was going through a bit of a resurgence as several villas are either being modified or updated, or plots being combined, according to Morris. ”This enables our clients to buy an asset that matches their lifestyle, even if they use it only a few times a year as a second, third or fourth home to add to their global portfolio,” says Morris. Properties under Dh5 million are still the ones moving the most becaues of better mortgage financing, according to Cecilia Reinaldo, Managing Director of at Fine and Country. ”Obviously, the ultra luxury villas on the Palm Jumeirah, as well penthouses in Downtown Dubai, are still of interest to many individuals looking for unique properties,” she says. Developer Al Barari sold its The Reserve show villa for over Dh60 million last year. Luxhabitat recorded recent transactions in the Dh15 million-Dh20 million region for penthouses in Dubai Marina and Palm Jumeirah. It also transacted mansions in Emirates Hills, Dubai Hills and Palm Jumeirah with prices between Dh20 million and Dh70 million. The most expensive homes on its books that are attracting interest are villas in Al Barari (Dh30 million-Dh50 million) and Palm Jumeirah (Dh40 million-Dh70 million), and Emirates Hills mansions (Dh100 million-Dh180 million). Is there still room for more? Dubai could see demand for luxury property expand further in the next several years, according to industry insiders, creating more room for growth and new developments in the segment. ”Dubai will experience a huge demand from luxury property buyers in the next decade,” says Andrew Cleator, Luxury Sales Director at Luxhabitat, adding that many of the emirate’s high-stakes projects are nearing completion.